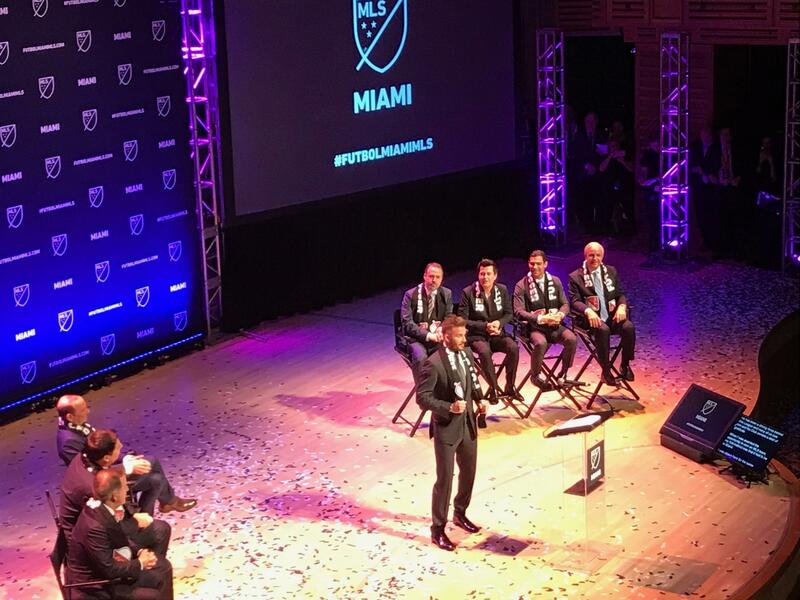 After four years, former Major League Soccer player David Beckham and his partners have been granted the right to establish a professional soccer team in Miami. And its fans -- who have been around for nearly a decade even though the team was only formally announced on Monday -- sang that anthem with gusto as David Beckham and his business partners told them that the wait for a Miami soccer team is over. 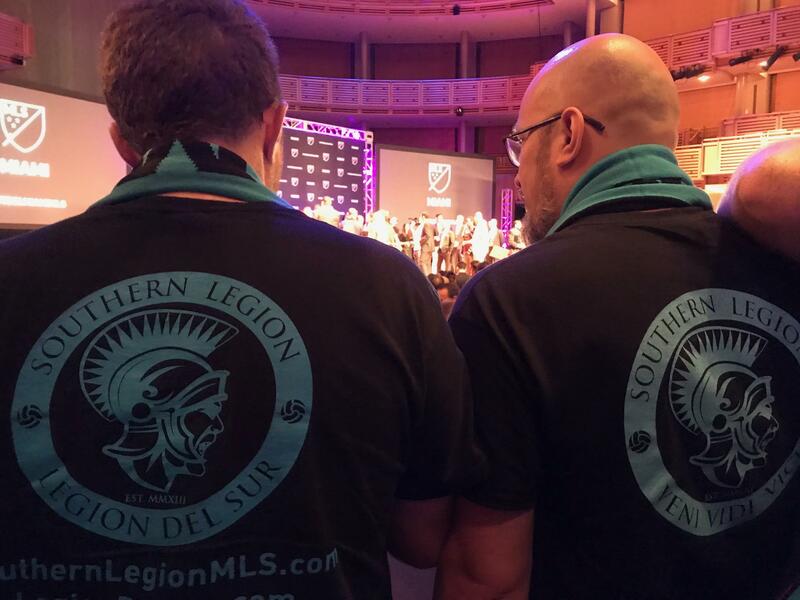 Fans of the long-promised pro soccer team call themselves the Southern Legion or Legión del Sur. And they have an anthem. "We love you, we love you, we love you, and where you go, we'll follow, we'll follow, we'll follow." Miami only officially got its pro soccer team on Monday, but it's had a fan base for about a decade. Major League Soccer Commissioner Dan Garber thanked the fans for "10 years" of emails of support. "They say that great things come to those who wait," Garber said. "Here we are: a day that will go down as really one of the historic days in our league, as one of the historic days in the history of sports in Miami." Garber and members of Beckham's ownership group said they want the team to represent the region, not just the city of Miami proper. 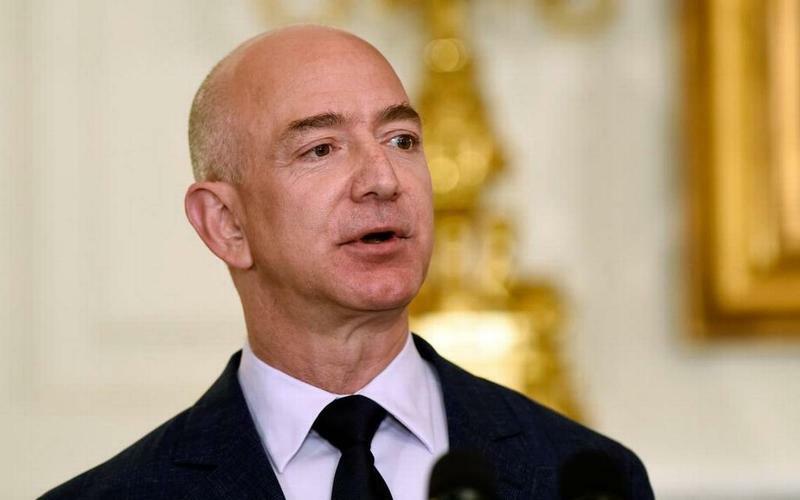 The regional focus is a message that's becoming more common on major South Florida projects including the bid for Amazon's second headquarters, a Southeast Florida climate action plan and the Brightline high-speed rail service, which passes through Palm Beach, Broward and Miami-Dade counties. "We want the entire community to be part," said Sprint CEO Marcel Claure, a member of the ownership group. "We’re going to write together the most exciting things of building a team -- its colors, its name, its chant." Claure said one aim is to tap into the Latin American influences that color South Florida. Beckham said receiving league permission to start a Miami team is a big step forward, but there's a lot of work to be done. 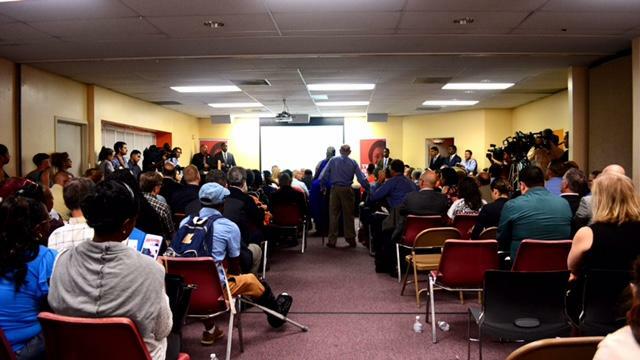 Plans to build a stadium in the city's Overtown neighborhood have faced opposition from residents concerned about traffic and gentrification. And in a market that already has four professional sports clubs -- several of which struggle to sell tickets -- will there be support for yet another pro team? If fans at the Arsht Center on Monday are any indicator, the answer is yes -- and it's thanks in part to the big names behind the project. Miami soccer fan Alex Rosario. "With these guys, if [the team] is winning, they [fans] will show up," said Alex Rosario, who grew up in Hialeah and now lives in Miramar. "Miami is a party city, and I think they’re going to put a culture, an atmosphere of, Let’s go, let’s party, let’s have a great time." Miami-Dade Mayor Carlos Giménez, who spoke onstage at the event, said Beckham's enterprise "has the support of Miami-Dade County, all of the 2.7 million residents of Miami-Dade County." "We will work with you, as best we can, to ensure that your franchise will be ready to play as soon as possible," Giménez said. 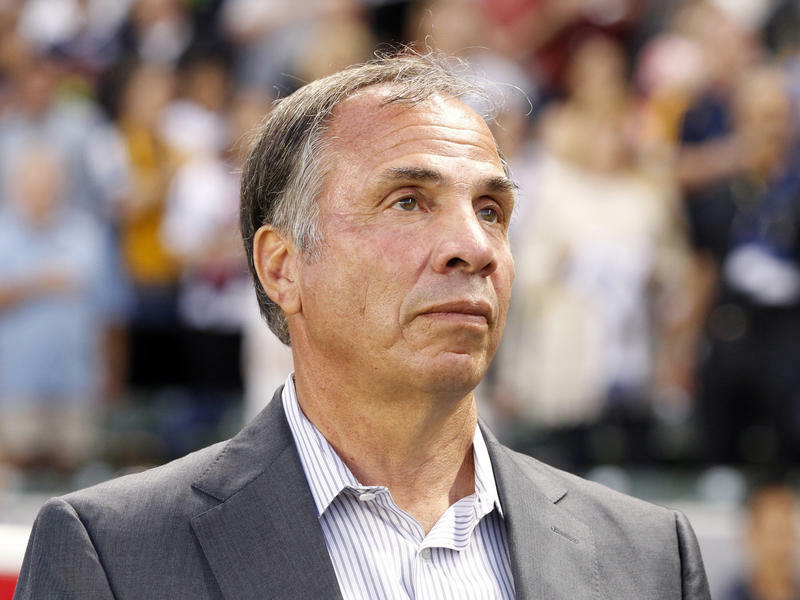 Bruce Arena is getting his old job back. Arena is the winningest coach in the history of the United States Men's national team and is the only person to lead the U.S. team at two FIFA World Cups. The announcement of Arena's return to the team comes a day after U.S. Soccer President Sunil Gulati parted ways with former U.S. Men's coach Jurgen Klinsmann.